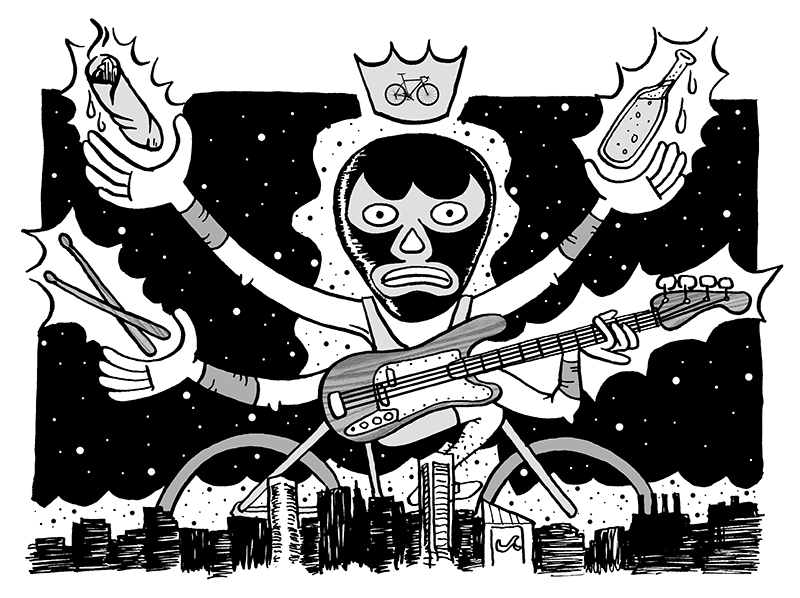 Ok, I’m a little behind… Here is a pen & ink illustration I did for Urban Velo magazine probably 2 or 3 years ago. It was for a bike race article called Bikes, Beer and Burritos. I think the event was held in Baltimore. Fun!